Reports on the energy situation in Africa often reference the lack of electricity access and infrastructure for modern energy services. 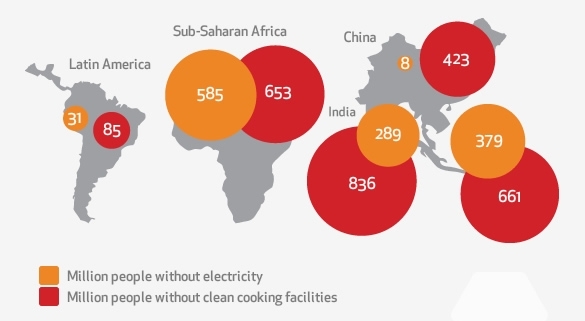 An estimated 600 million people on the continent do not have power supply and even where they do, it is not always reliable. In sub-Saharan Africa, the combined economy is forecast to grow by over 5% in the next few years (Deloitte 2017). Yet the states of infrastructure and power supply are far below the level needed to meet the demands of this growth. However, there are some rays of hope, given the ongoing movements in the power industry revolving around the growth of renewable energy globally. 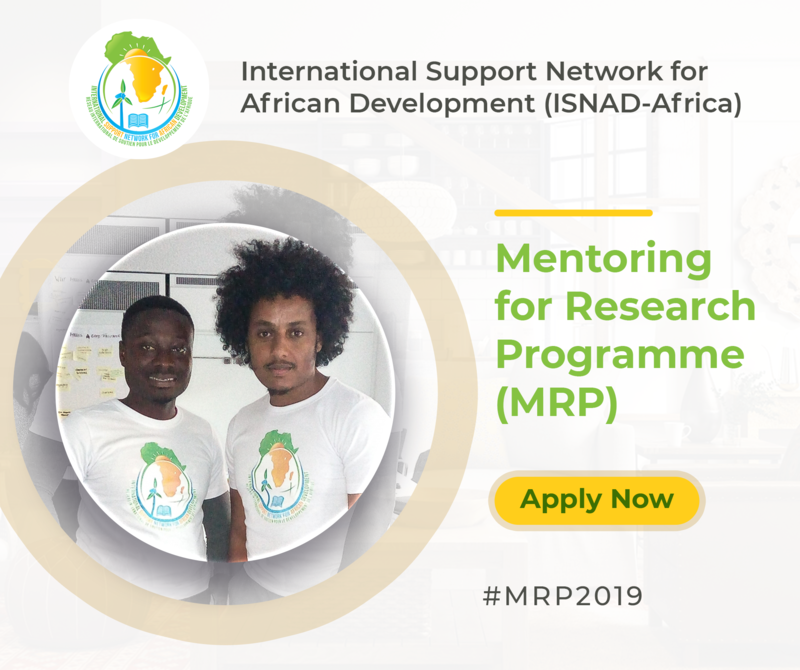 It is no news that the African continent is rich with abundant natural resources – renewable and mineral – which are more than sufficient to meet its needs. The technologies that would enable harvesting these resources for energy exist but are not yet fully tapped into. This is a result of the challenges deterring the power industry from functioning effectively and developing its potential. On the technical side, the existing capacity is inadequate in both generation and transmission, the infrastructure is poor and outdated not to mention the low standard of maintenance and problems in metering and billing systems. On the economic side, they are faced with poor implementation of policies and limited financing. Furthermore, there is a shortage of highly skilled personnel both in research and industry. These shortcomings do little to encourage the private sector to be more actively involved and for investors to provide the much needed funding considering that the risks are perceived to be high and return on investments are not guaranteed. These trends have been building momentum over the past decade. Just as we see in the developed world, countries in Africa are adopting solar and wind energy technologies, and placing renewable energy (RE) targets at the core of their electrification strategy. 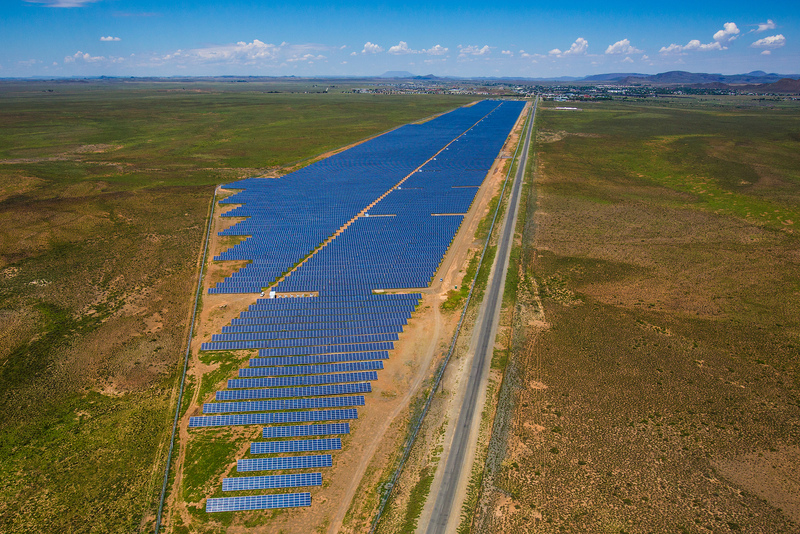 One example is the South Africa’s Renewable Energy Independent Power Producer Procurement Programme which was successful in encouraging private investment in the country’s RE sector. Another prominent one is how mobile money revolutionized the face of energy services in East Africa and beyond. Using pay-as-you-go business model, solar power is being made affordable and accessible across the continent. 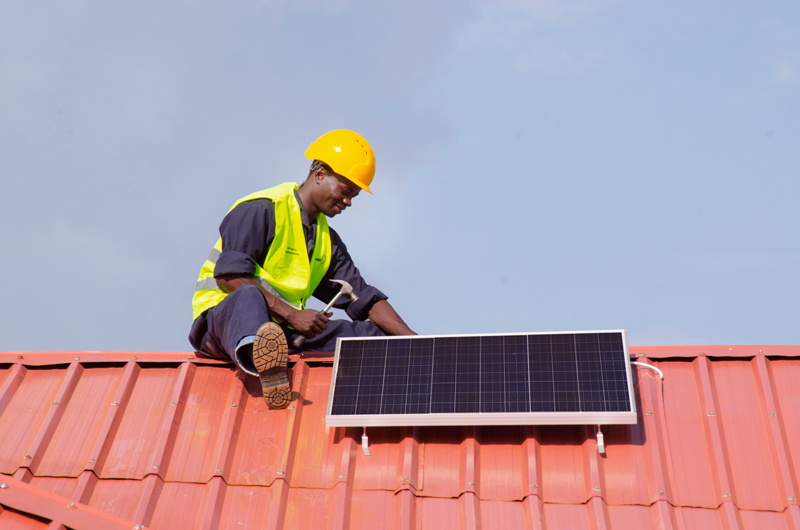 M-KOPA, a company that offers solar home systems targeted at lower-income and rural customers without electricity, is widely known for pioneering the concept. Also well known are companies like Mobisol, Off Grid Electric, Powerhive, d.light, Arnergy, Lumos, and several others too numerous to mention. Such innovative solutions pave the way for Africa leapfrogging the grid, just as it did with the telecommunications industry by quickly adopting cell phones over landlines. Even though the growth of small scale solar systems has improved the lives of many, especially in rural areas, it is still not sufficient.The energy demand required to power economic diversification and industrialisation has to be at a much larger scale than what the small systems can offer. For this reason, some advocate for the building of large conventional power plants which run on coal or even nuclear fuels. However, considering the effects of environmental pollution and climate change, transition to a cleaner energy mix is the preferred direction. This is where large-scale renewable energy plants and decentralized generation through mini-grids come into the picture. 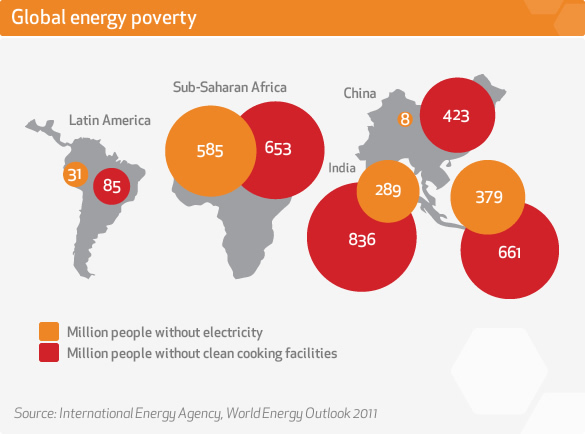 Moreover, providing energy access has to go beyond just provision of electricity. In order to make real impact, the full spectrum of energy services should be considered. For instance, even when solar is provided in the rural regions, people still burn wood and kerosene for cooking which are hazardous to health and environment, besides hampering productivity By introducing clean cooking stoves, the problem can be mitigated. Additionally, the resulting increase in energy demand that comes with access in turn increases the need for economic activities which can provide money circulation to pay for services. Therefore additional measures such as providing energy-efficient appliances, offering solar-powered equipment and promoting the productive use of energy are all means to complement electricity access for the benefit of those communities. In order to make significant progress, every sector of the economy has an important role to play. Governments have ongoing policies and programmes, private companies and investors are making bold moves to participate in the markets, NGOs have projects which bring electricity to the underprivileged. But what about the educational institutions? There is still a large gap in teaching, research and training on renewable energy and sustainability. Without human capacity development, the economy will still lack the necessary knowledge and skills which are crucial for harnessing its potentials. This is an area where stakeholders should look more closely into. 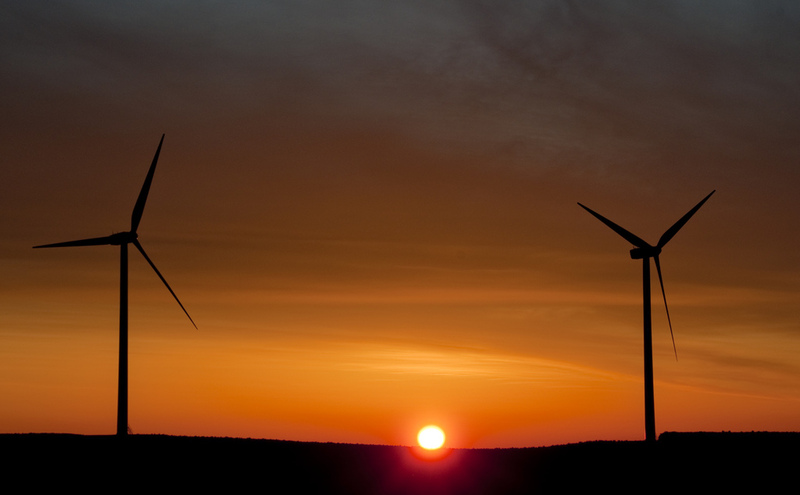 There is no doubt that the energy landscape in Africa is evolving given the emerging trends. Countries where these disruptors are able to thrive will be leading examples for others, shaping the future and making strong headway towards sustainable economic development on the continent.